In a country where cases tend to lie in courts for decades without being cleared, the sheer speed at which the charge sheet has been prepared against JNU students Kanhaiya Kumar, Umar Khalid, Anirban Bhattacharya and 7 others — 3 years after the whole Anti-National and Azaadi issue became a national debate — is nothing short of strange. Responding to reports that charge sheets have been filed against them, after years of dormancy and evidence that most likely exonerated them, Khalid and Bhattacharya said in a statement that this was the Narendra Modi-led government's latest attempt to divert attention from their failures, with the upcoming parliamentary polls in mind, "As the people of this country have prepared their own charge sheet against this anti-people, anti-poor and communal govt, the government once again wants to deflect attention from its failures by raking up this issue just before elections. They need to bury their failures under these lies," said the statement. If the Azaadi debacle made Kanhaiya Kumar a household name, the way the government dealt with is made dissent a widespread debate in early 2016. 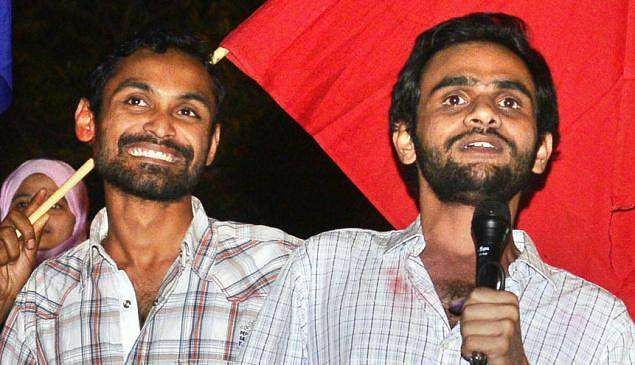 The timing of this charge sheet — slapping them with sedition and other things — appears to be an attempt to shackle the anti-government machinations of the JNU group, "We congratulate the Delhi Police, the Home Ministry and the government for waking up from their deep slumber after February 9, 2016, and barely 3 months before the general elections 2019 and filing a charge sheet against us," they said and added that the government's lies would be exposed soon, "The people of the country have been dealing with these Sanghi Thugs of Hindustan long enough now. It’s been five years, nearly. They know by now that it would be raining lies as it gets closer to the elections: mandir, statues, 10% reservation, “anti-national”. If the last four years saw the people of the country grappling with one jumla after the other, the closing months would be seeing the crescendo in the symphony of lies. Even with us, around the “JNU row,” as they call it, it's not that they didn’t have their lies ready three years back. But of course, they needed to submit them in the form of a charge sheet in the last hundred days." Though they are yet to see the charge sheet — something that Kanhaiya Kumar also does not have access to at this point — they are firm in wanting to face this issue legally, "We want to say categorically that we reject the charges and will contest them legally. In a way, it is good that the matter will finally move to the actual courtroom after almost three years of media trials. We are convinced about our innocence, and have full faith in the court," said the statement before concluding, "No amount of lies would be enough to hide their failures, their anti-poor, anti-farmer, anti-worker, anti-Dalit, anti-minority moves, their corruption, their fake-nationalism, and their desperation. They stand exposed and they will be defeated. We are confident that finally, the truth would prevail."